We’ve all been there: It’s early in the morning, and you’re staring blankly into the wide abyss of your closet. You’re surrounded by clothes, you don’t know what to wear… so, you grab the same thing you throw on every day. You’re in a rut! But guess what? It’s just as easy trying something new as it is reverting back to old style habits with these simple Stylist tips. Whether you’re willing to adventure near or far from your tried & true favorites, we’ve got you covered below. And if you’re feeling extra bold, update your Style Profile and increase your adventure selection to “sometimes” or “frequently” (we’d love to help out!). Add a color infusion. Don’t shy away from bright pieces, especially if your everyday wardrobe is dark or neutral. For small impact, try a colorblock print—it’s an easy addition to a simple jean. To go more bold, investigate which colors look great on you (are you cool or warm? ), then tell your Stylist to infuse bright pops of that color palette into your Fixes. An upside: color is an instant mood booster! Go graphic! Wearing bold-printed trousers is a fun and impactful way to incorporate more ooomph into your life. Take it to the next level with a graphic print. These aren’t the pants of the ’80s (don’t worry); instead they’re a great way to take an otherwise basic outfit up a notch. If you want to ease into this vibe, tell your Stylist you want to start with baby steps like a black-and-white combo—it’s easier to pair a top back to this neutral color palette. Shake up your shorts. Heading into summer means beating the heat with shorter hem lengths. If you often choose to wear a classic denim short, think about mixing it up with texture, pattern or details—like crochet or cut-outs—in your top. To be more adventurous, try a new short material altogether, like this rayon Cambria Embroidered Shorts—bonus points that it comes in a fun, fiery color. Embrace cropped, colored denim. Sure, your favorite dark wash jeans are an easy go-to, but it’s time to head to the lighter side. Not only are they better to wear in warmer weather, but they add some proportion play to your everyday look. Tailored, fitted and simple, a great pair of cropped denim is a great choice if you’re looking to find an alternative to your favorite jeans. 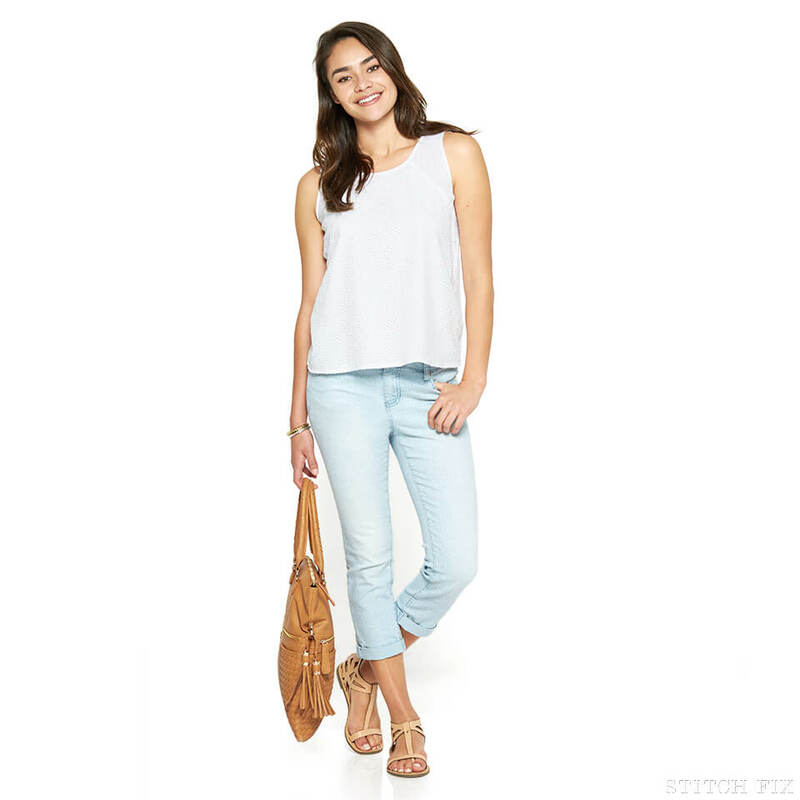 Tell your Stylist that you want to try colored or neutral denim! Spruce up with a statement necklace. If you’re a working woman, you spend a lot of time at the office (trust us, we get it!). 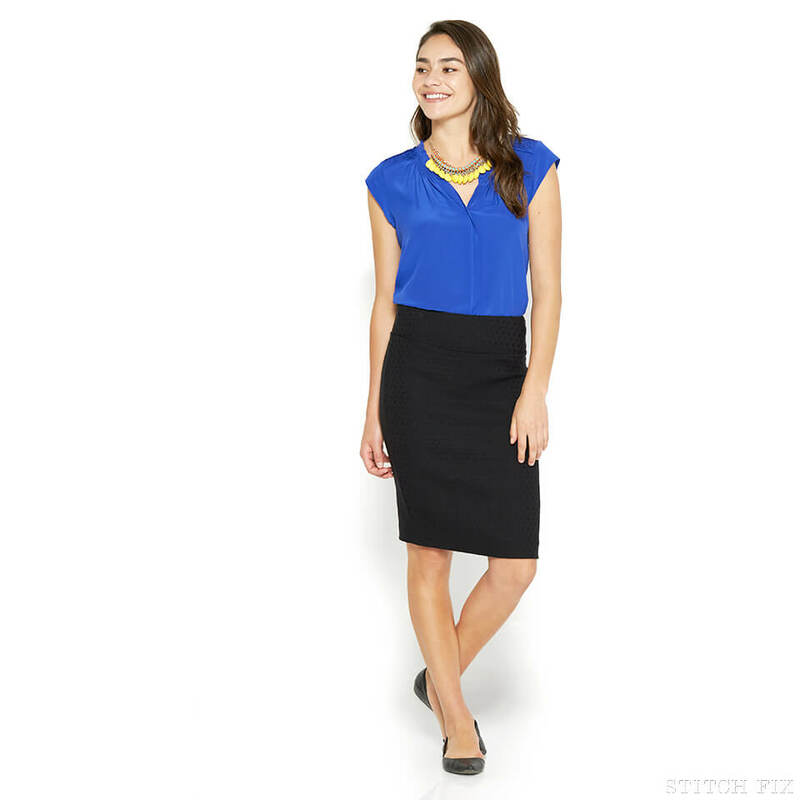 Workwear is an easy place to allow your “daily look” to fall into a rut. A simple way to add a boost to your office ensemble is to add a bold, bright statement necklace. Ask your Stylist to send you a necklace in a color that will pop against your usual navy, cobalt blue black or cream blouse. What are you waiting for!? 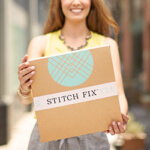 Get out of your rut & into some new clothes by scheduling a Fix!